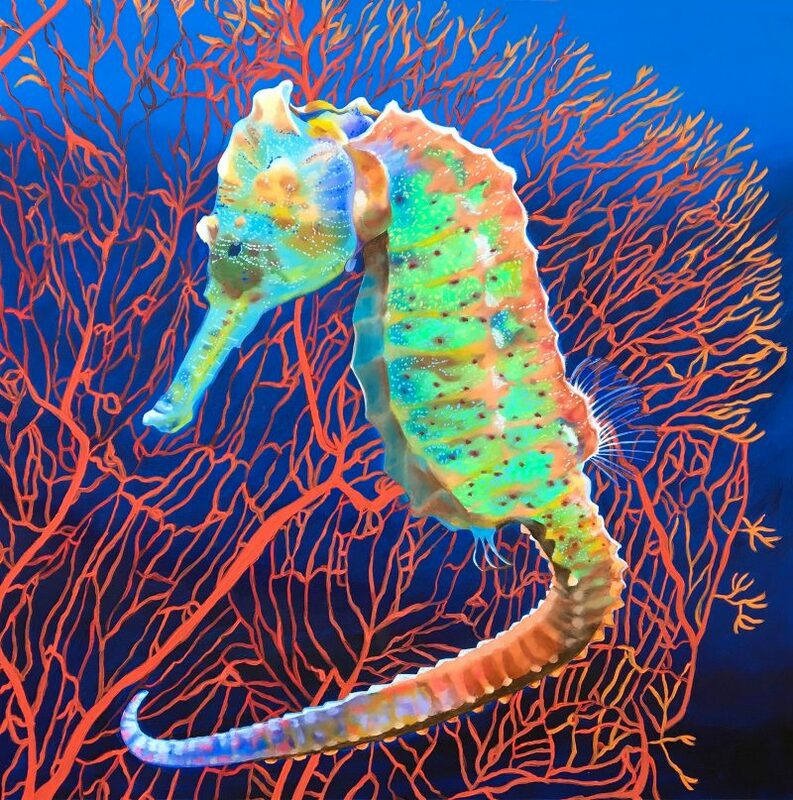 The seahorse’s ability to change colors is one of its most remarkable traits. 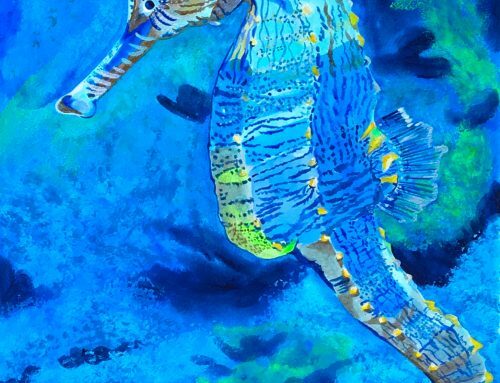 They not only change colors when dancing together, but can shift their color hues to match their immediate ocean habitat. 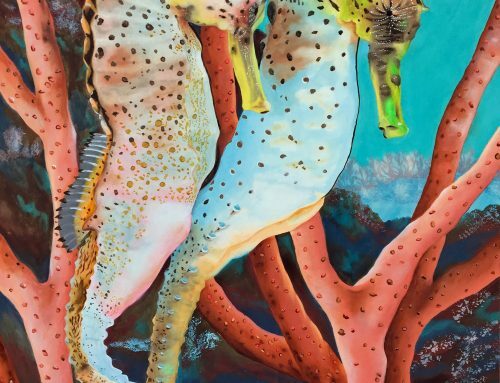 Large, hungry prey will be pressed to find these little gems that are magically cloaked in the coral. 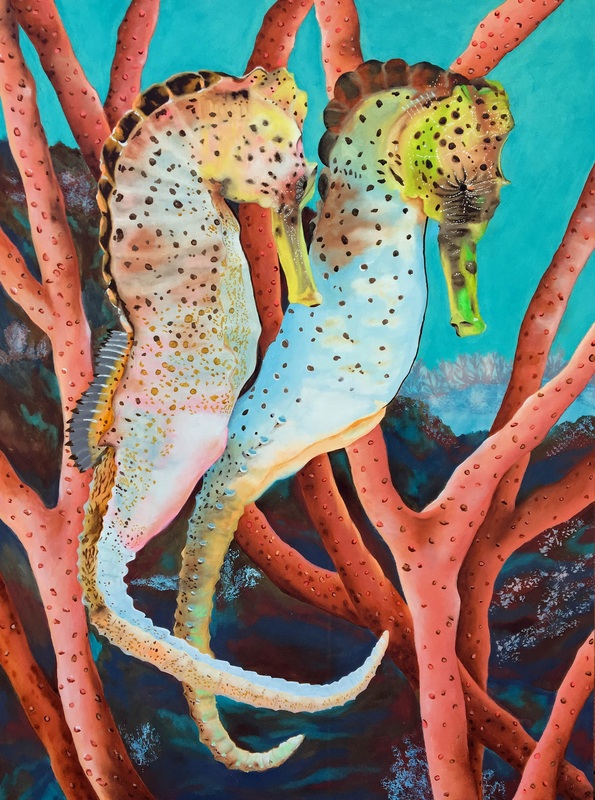 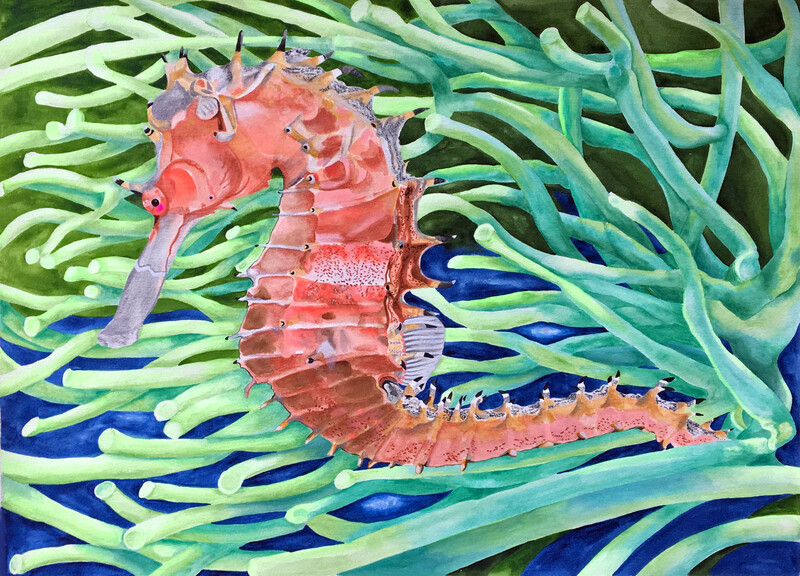 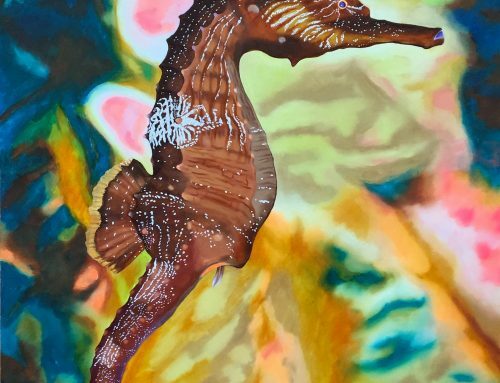 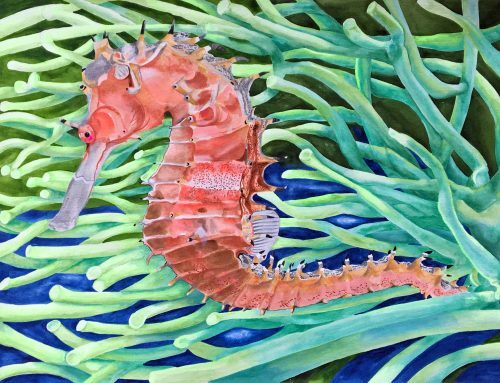 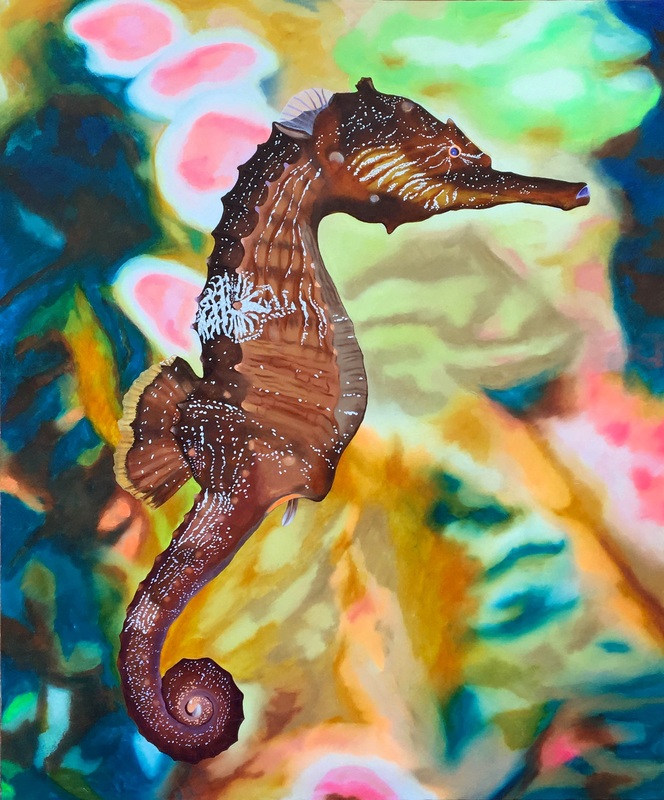 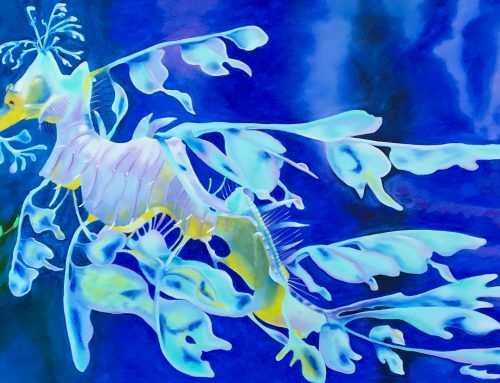 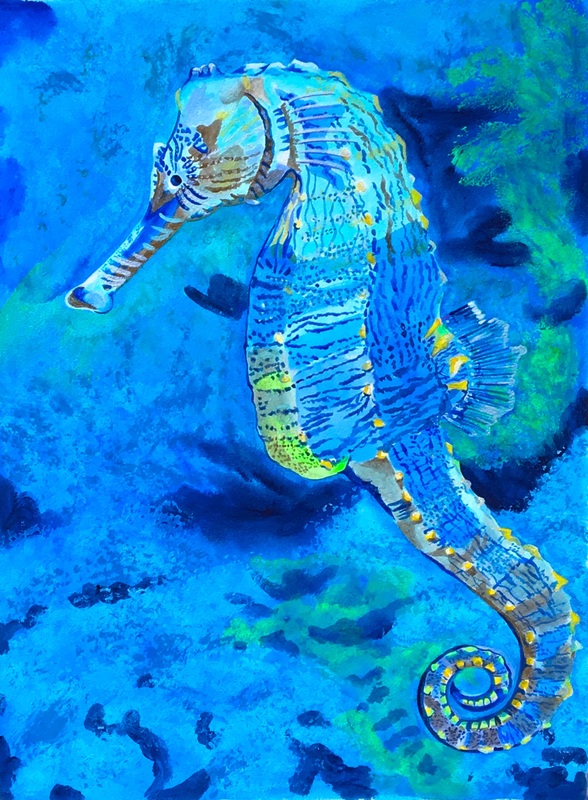 The electric universe lights up the ocean flora with lively colors wherein the electric seahorse can take shelter.